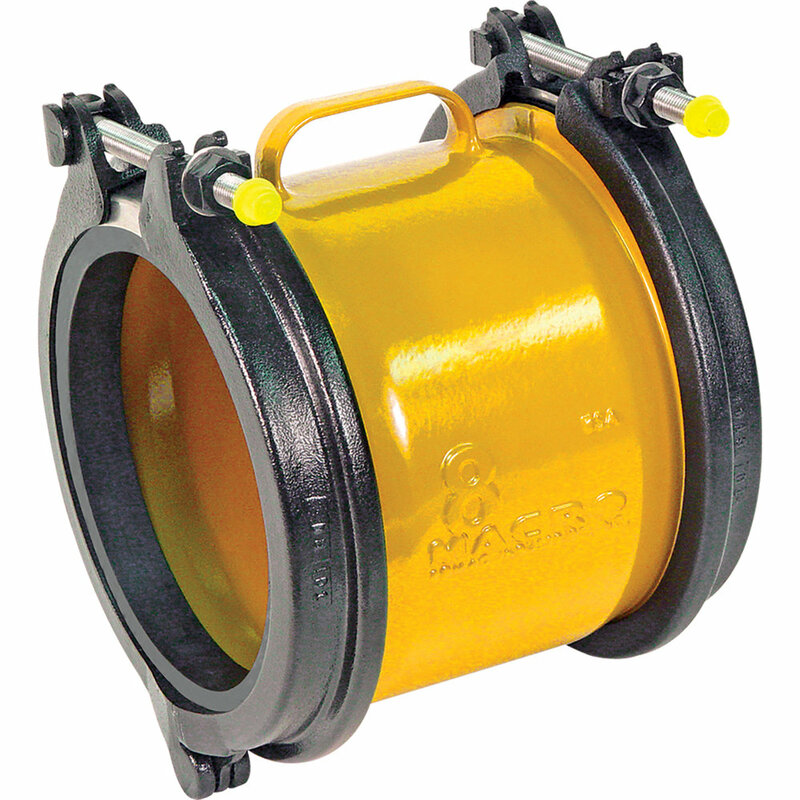 Ductile iron pipe coupling with interchangeable gaskets and color-coded end rings. 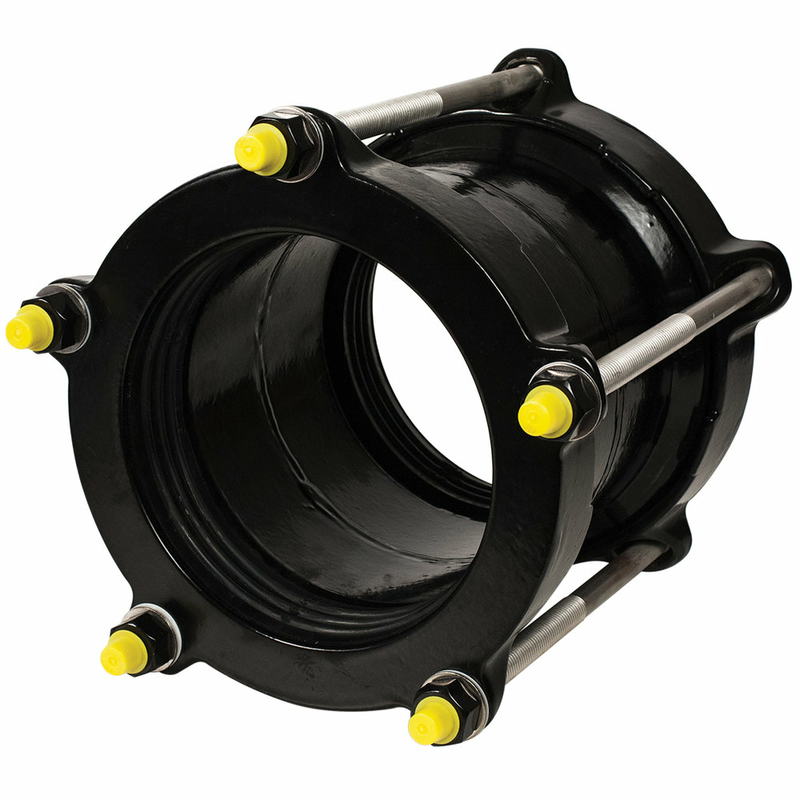 Ductile iron reducing pipe coupling with interchangeable gaskets and color-coded end rings. 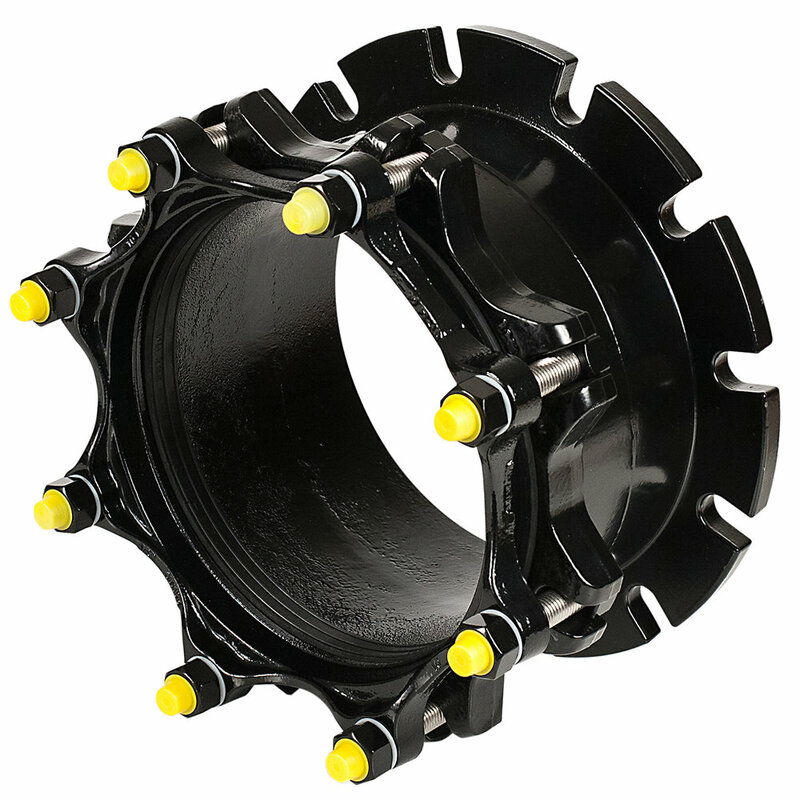 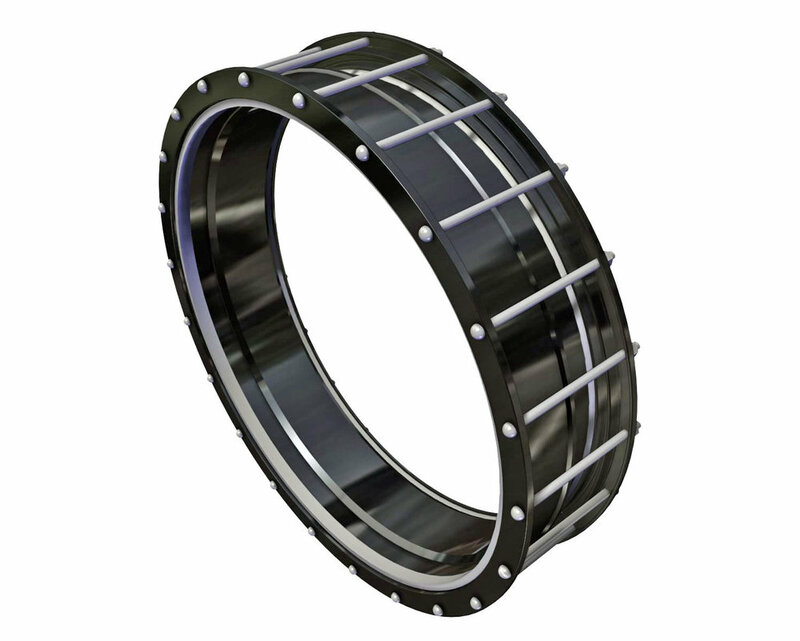 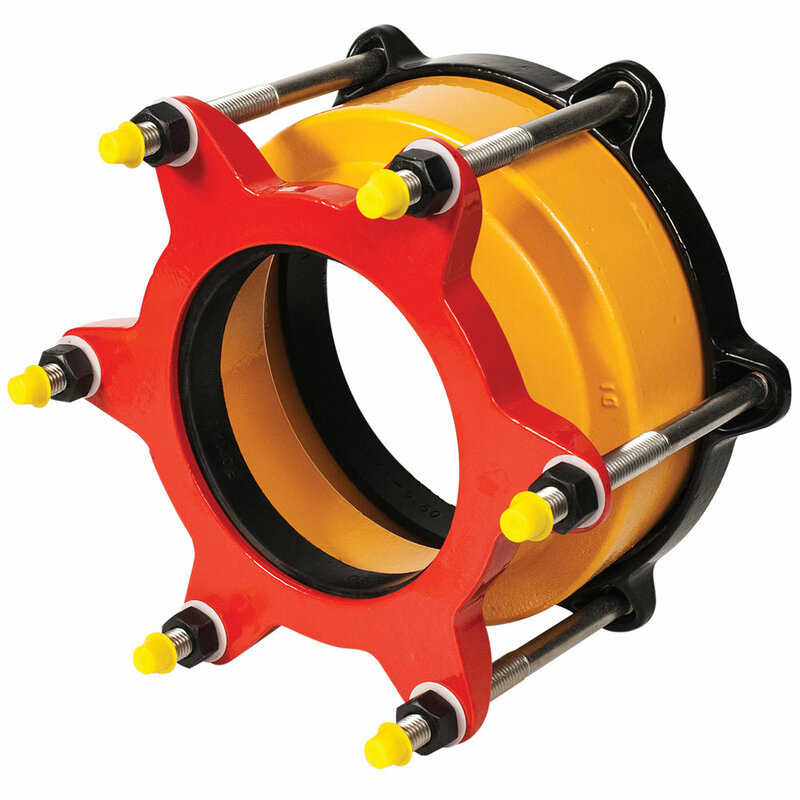 Ductile iron pipe end cap coupling with interchangeable gaskets and color-coded end rings. 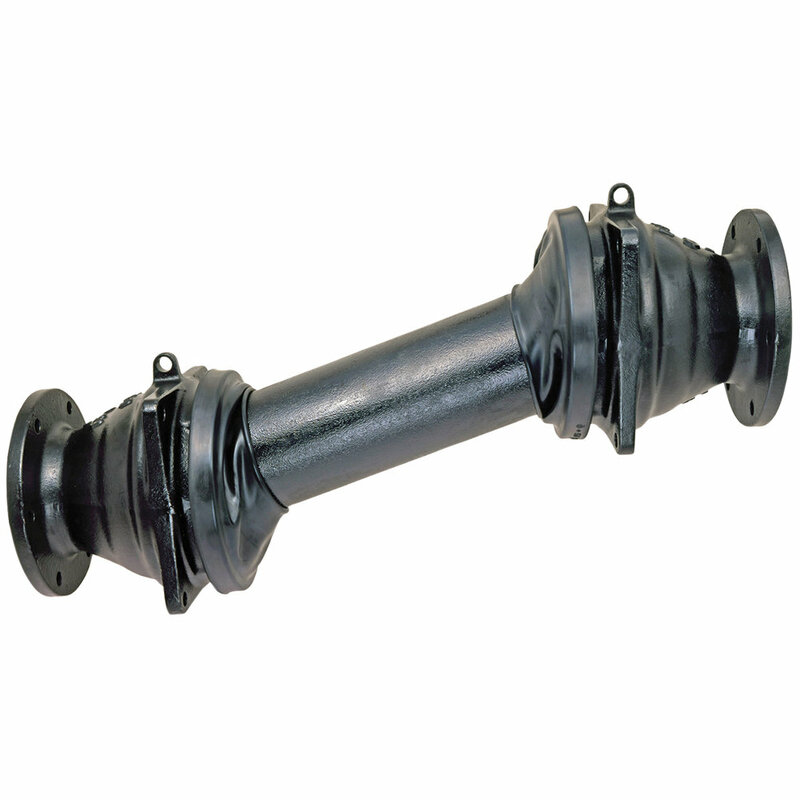 Ductile iron insulating coupling with insulating boot. 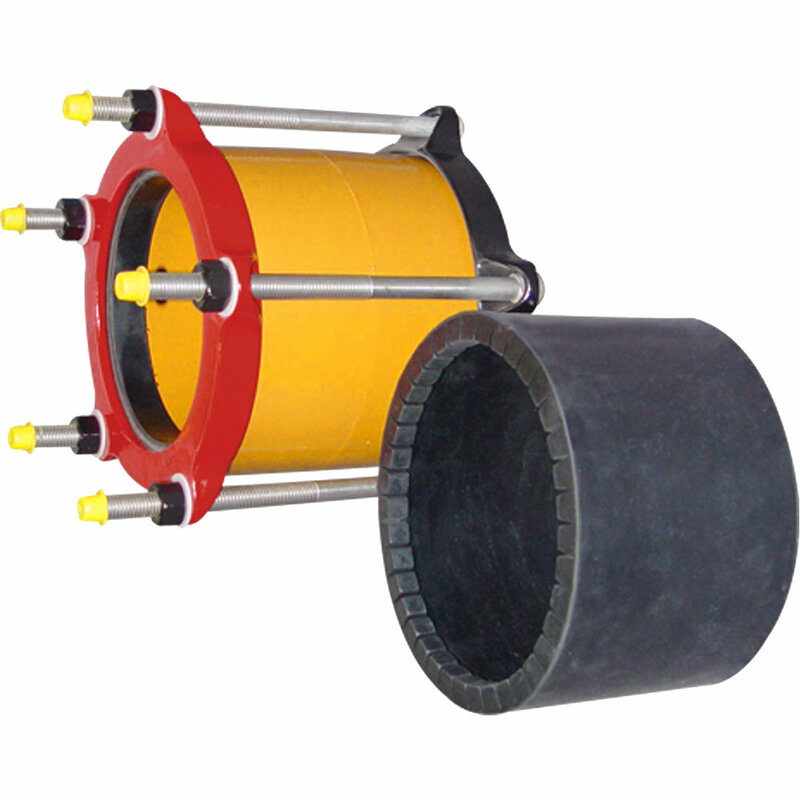 Insulating boot prevents electrolytic action by isolating one pipe from another. 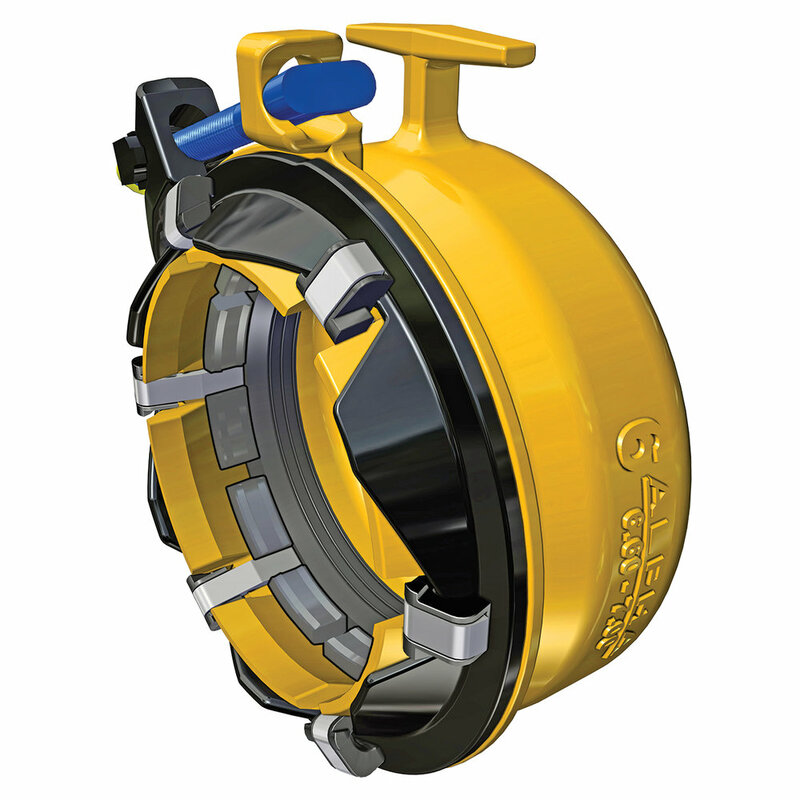 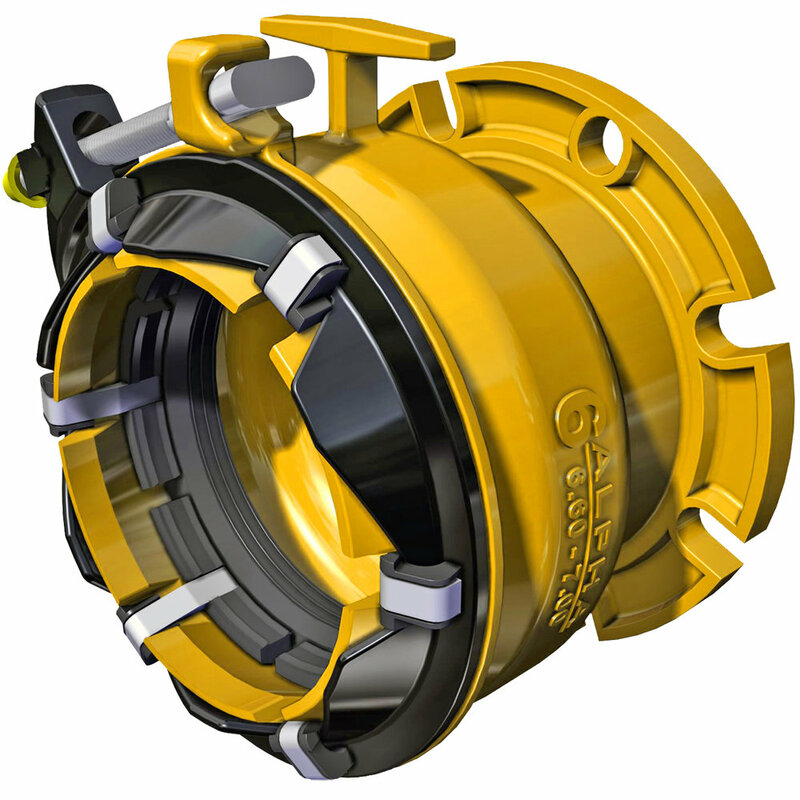 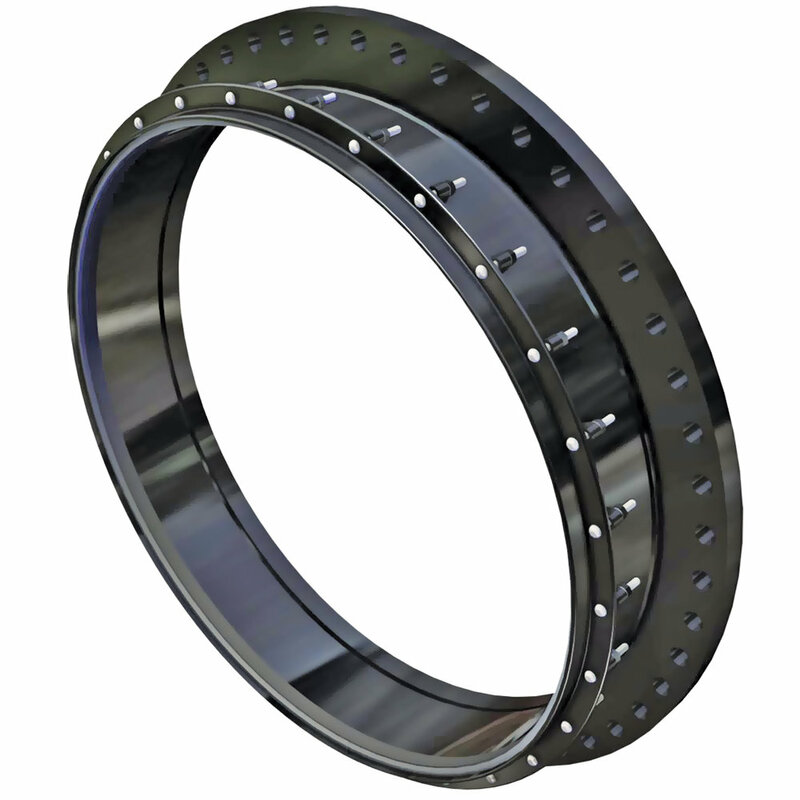 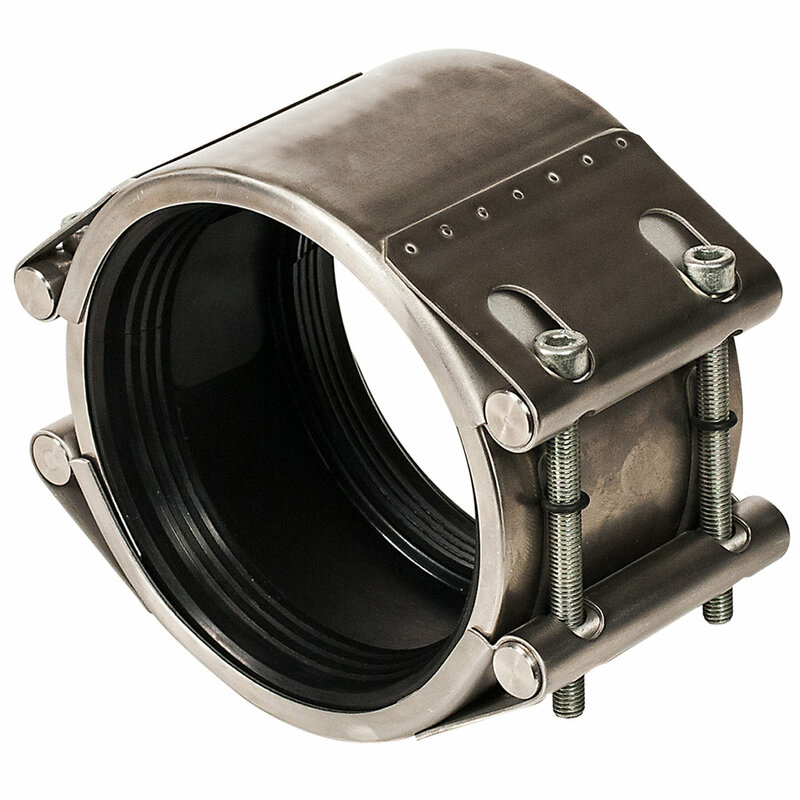 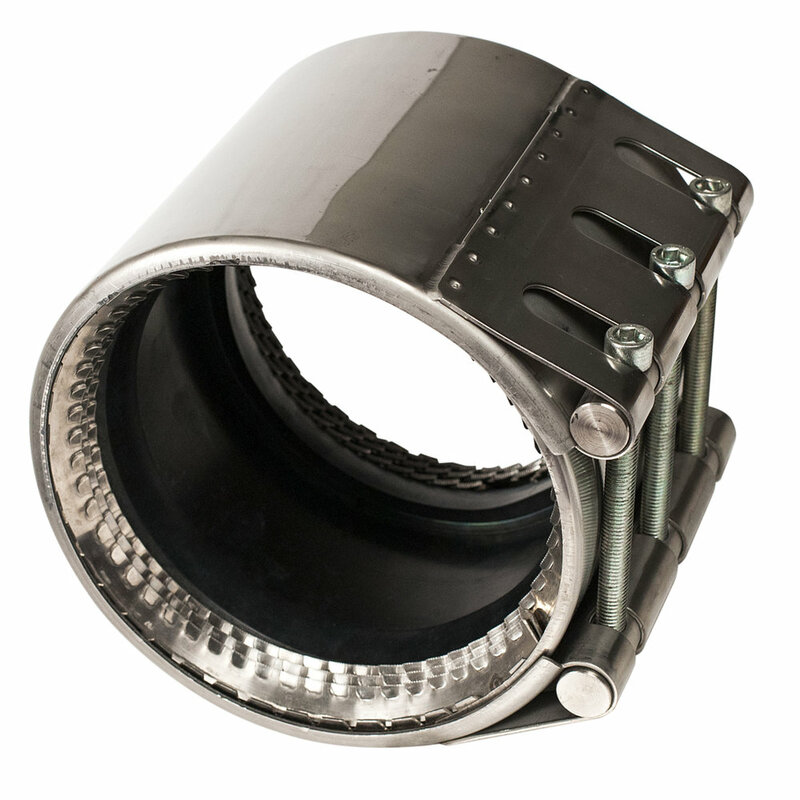 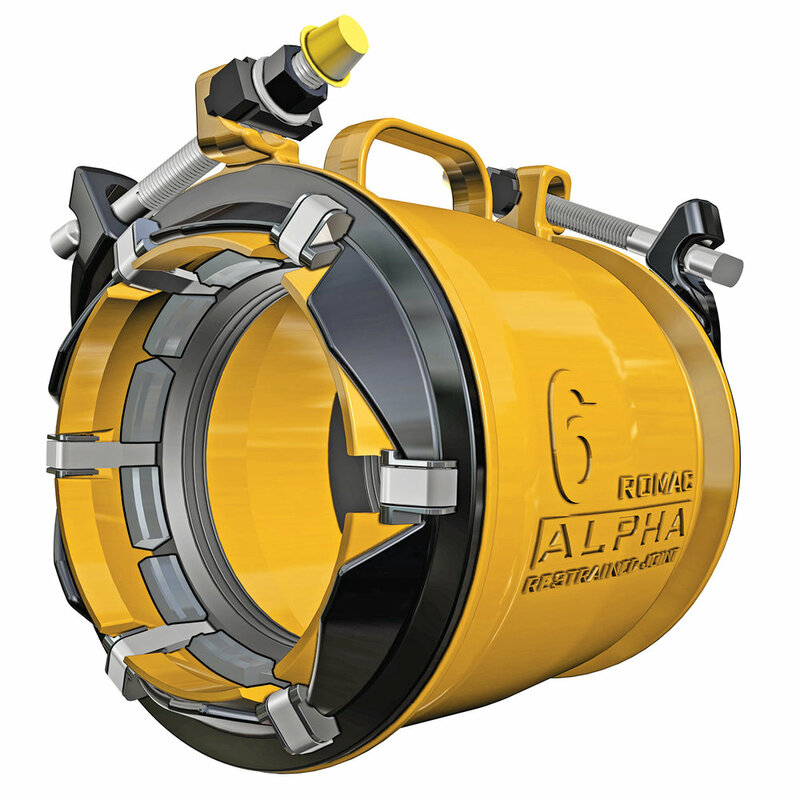 Wide range, two-bolt pipe coupling with built-in restraint. 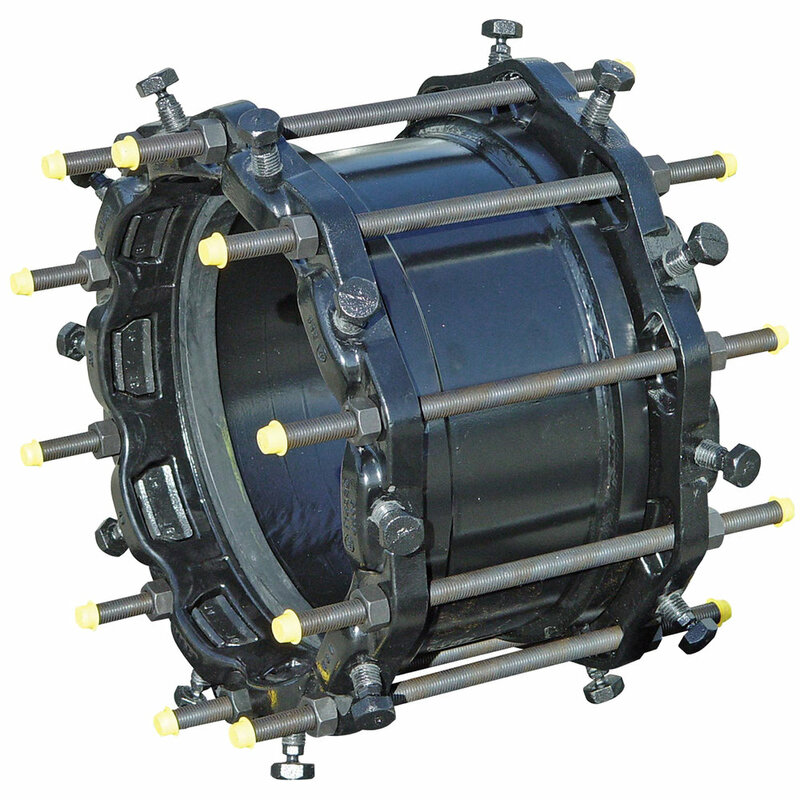 Wide-range ductile iron restrained end cap. 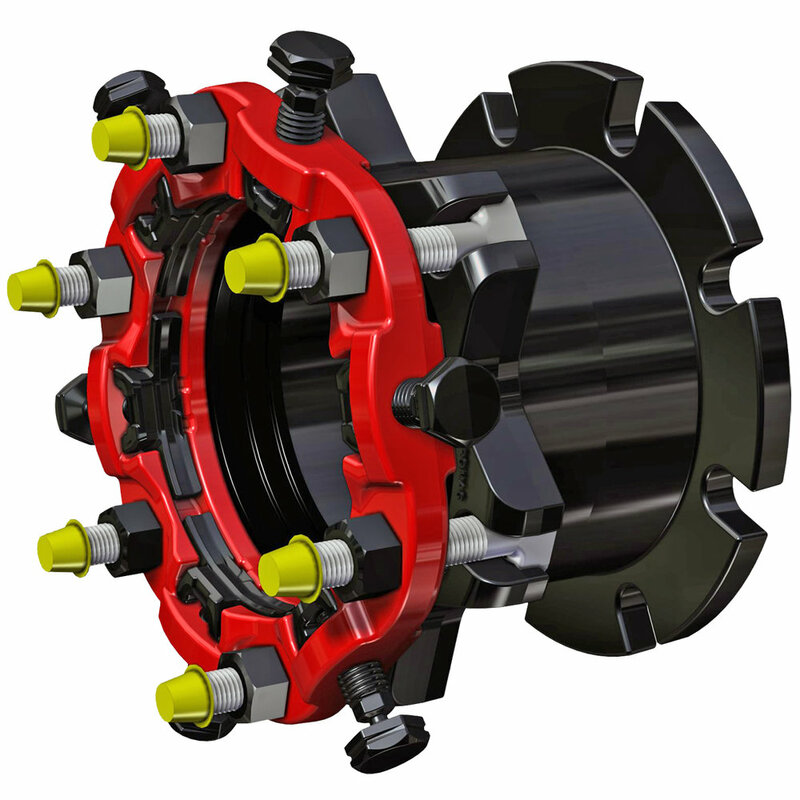 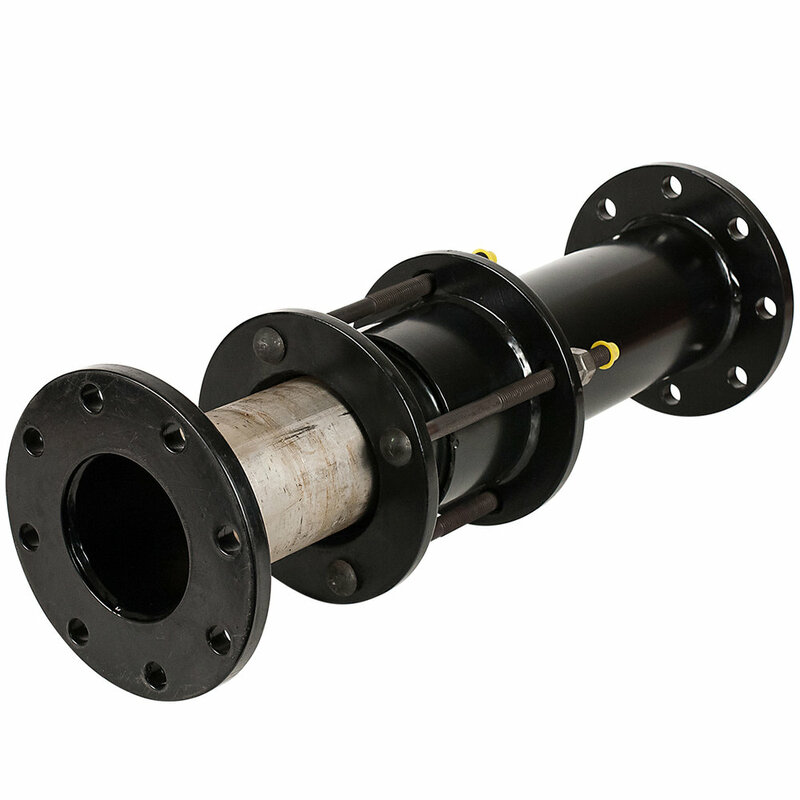 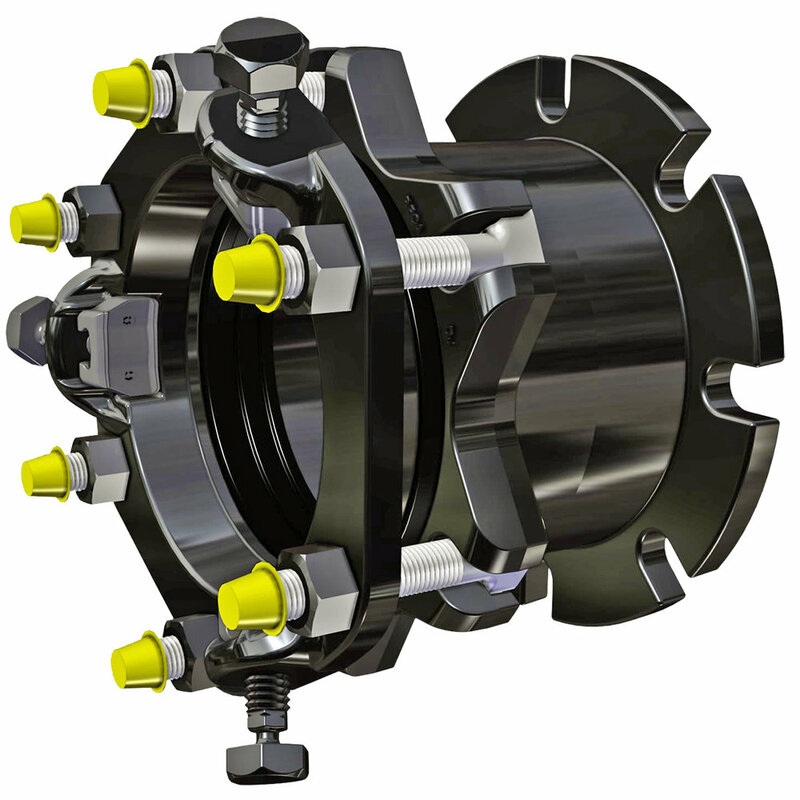 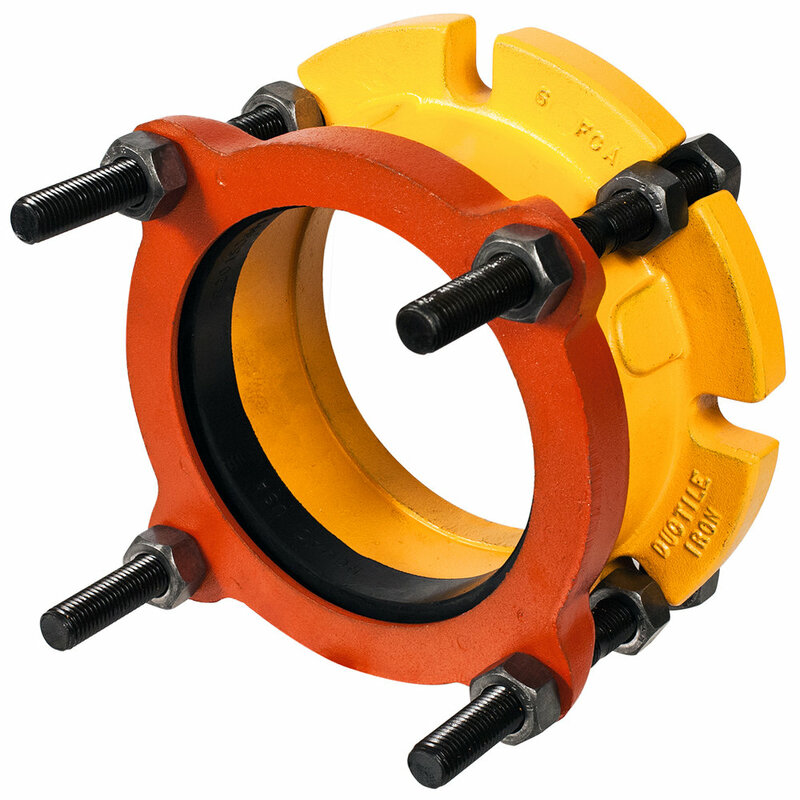 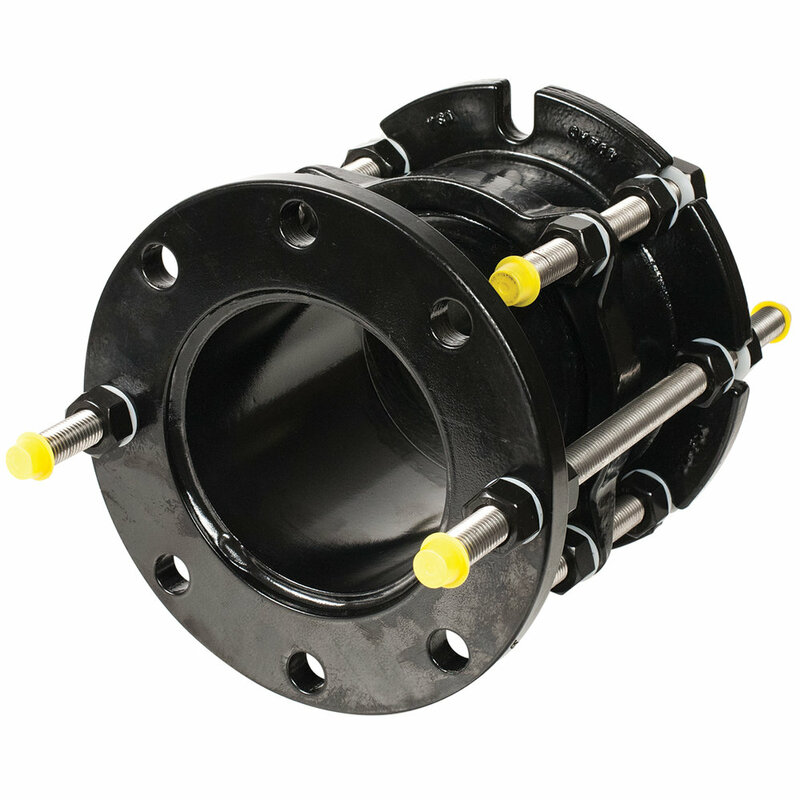 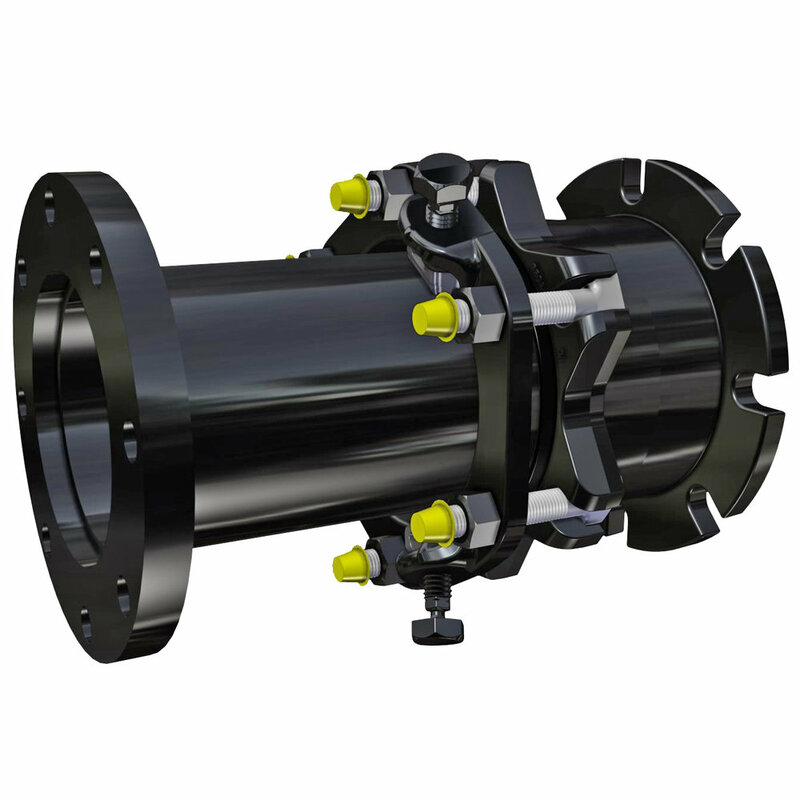 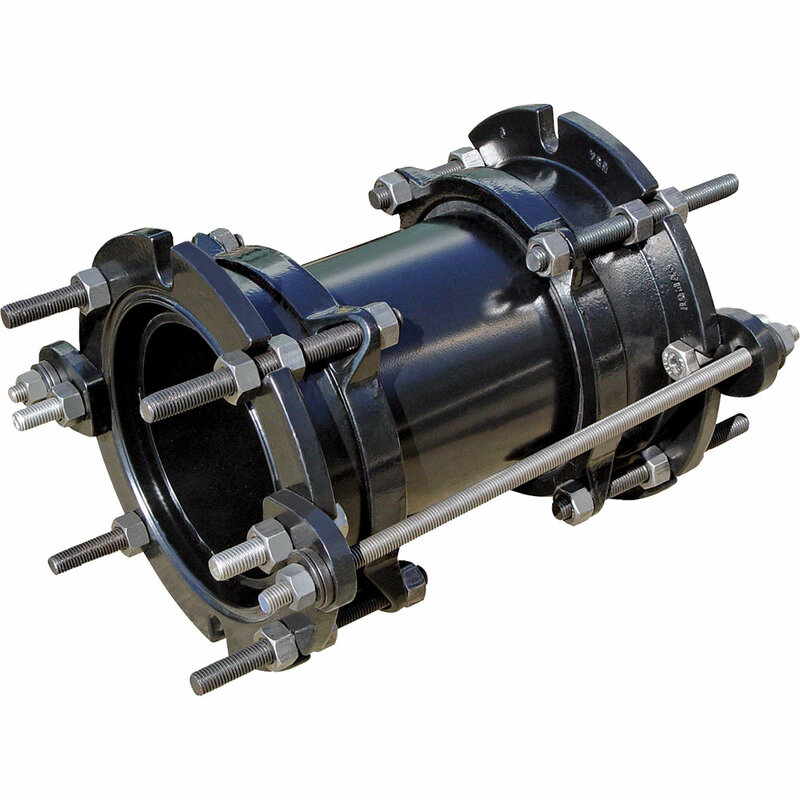 Ductile iron flange coupling adapter. 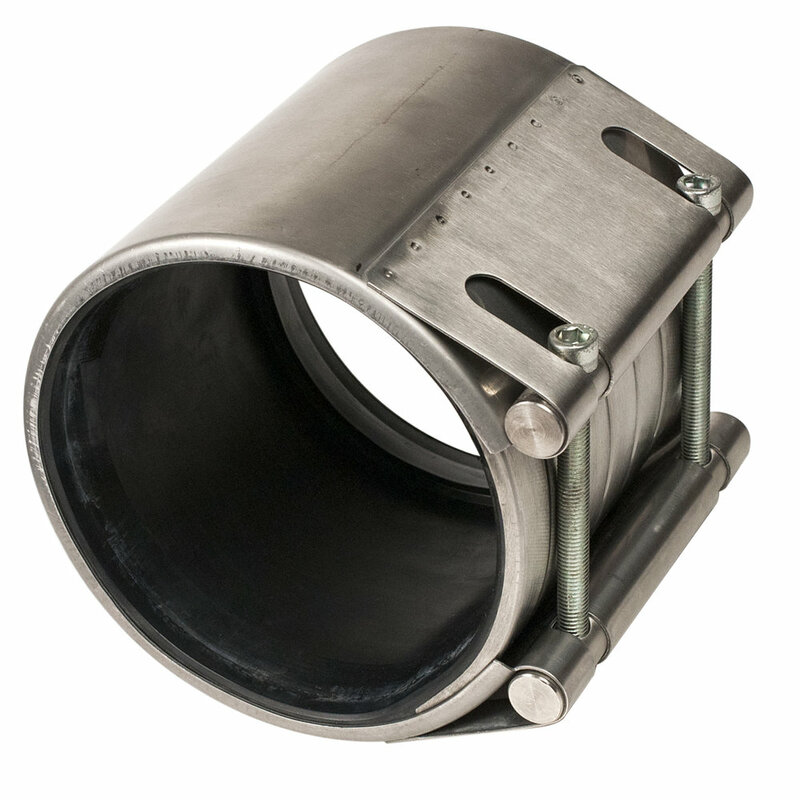 Connects plain-end pipe to a flange.